The BMW 5 Series is a 4-door, 5-passenger luxury sedan, luxury sports sedan, or luxury wagon, available in 6 trims, ranging from the 528i Sedan to the 550i Sedan. The 5-Series 535i Sedan has a 6 Speed Manual transmission and a 3.0-liter, I6, 300-horsepower engine. 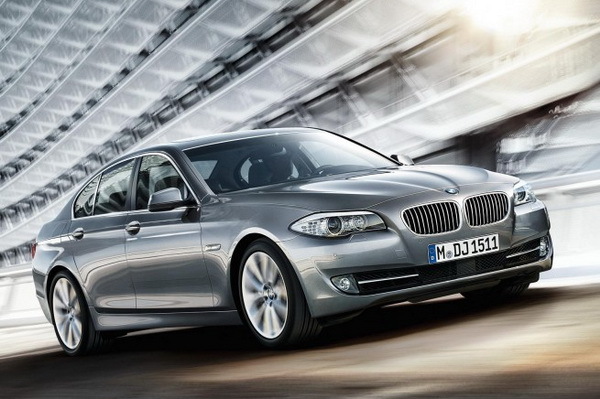 The BMW 5 Series is newly designed for 2011. 3.0-liter, I6, 300-horsepower engine that achieves 19-mpg in the city and 28-mpg on the highway. 6 Speed Manual transmission.